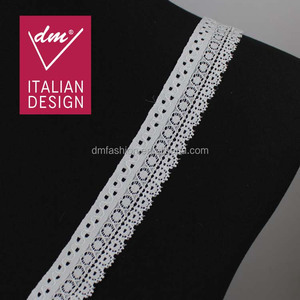 High Quality DTM Embroidered Spandex/Nylon Elastic Lace Trimming for Lady Dress Winning Devotes to Making your Garment more Fashionable 1: Most competitive price 2: High Quality Standard 3: fastest delivery 4:Low MOQ More details Products details Code Number Lace Material Spandex/Nylon Usage lady garments, lady underweards, cuff, neckline decoration Sample lead time Usually have white and black in stock, can send out as requested Bulk Delivery normally about 12-15 days DTM color available to match Pantone color card MOQ 3000yards if no stock MORE STYLES MORE ABOUT US Packaging & Shipping Winning will always select the most suitable shipping ways for you, customers appointed forwarders also welcome There still thousands of styles, send me inquiry for more designs now!!! 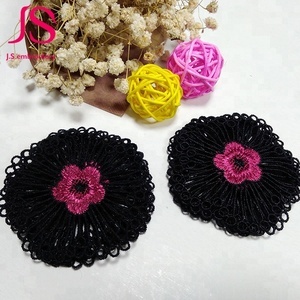 Embroidered crochet flower elastic ribbon swiss lace trim FLL-050 PRODUCT DESCRIPTION Product Name Polyester Lace Model No. FLL-050 Material Lycra spandex Color DTM any colors Size 5-10cm Customized Accepted with negociated MOQ Moq 1 roll Usage underwear,shoes,bags,garments,gifts ect. 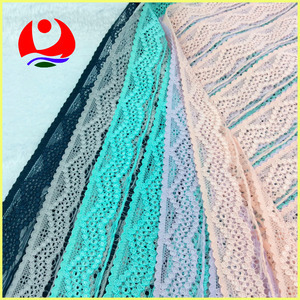 PLEASE GIVE ME A CHANCE & SEND ME INQUIRY OR CONTACT WITH ME for 2016 New Arrival polyester chemical lace for women AS BELOW: LET'S DO A NEW & MOST SUITABLE DESIGN FOR YOU ONLY ! We are exporters of the same lines of business, having a business background of some years. And now we are interested in exporting our products of all types to many countries. We promise to provide customers the guranteed quality, reasonable price, prompt delivery and perfect services. 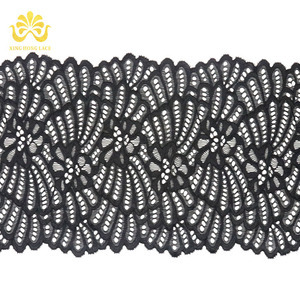 Alibaba.com offers 41,347 embroidered elastic lace products. About 93% of these are lace, 1% are plus size shirts & blouses, and 1% are shoelaces. 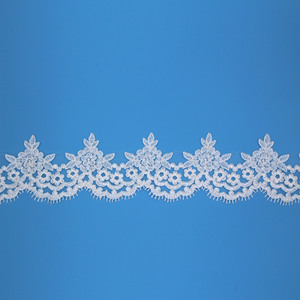 A wide variety of embroidered elastic lace options are available to you, such as eco-friendly, water soluble, and elastic. You can also choose from 100% polyester, polyester, and spandex / nylon. As well as from embroidered, knitted, and crocheted. And whether embroidered elastic lace is mesh, voile, or organza. 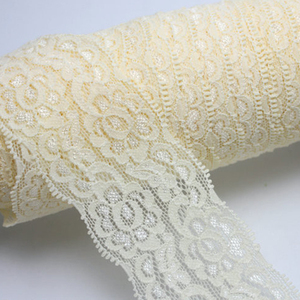 There are 41,347 embroidered elastic lace suppliers, mainly located in Asia. 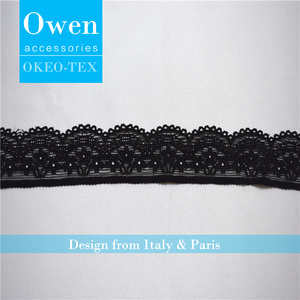 The top supplying country is China (Mainland), which supply 100% of embroidered elastic lace respectively. 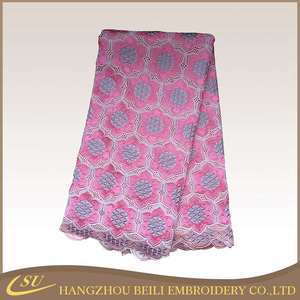 Embroidered elastic lace products are most popular in North America, Africa, and Western Europe. You can ensure product safety by selecting from certified suppliers, including 4,172 with Other, 1,114 with TL9000, and 175 with ISO9001 certification.